Can you give thanks in the midst of difficulties? How do you glorify God when He takes from you? 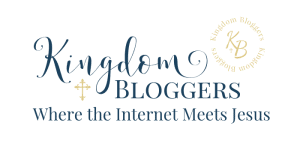 Guest blogger, Latasha Strachan from Exploring, Discovering, Knowing God, shares a few ways we can magnify the Lord even though we may be in pain. I can still remember the last words I sent to my now distant friend. Struggling with the inner knowing that our relationship was dying, I tried to find just the right words to convey that it was okay. It was okay that we were separating. We were going to be fine, and I loved and cared for her all the same. I typed the words knowing they would be the last ones for the foreseeable future. When will we connect again? Will we connect again? I don’t know. We all go through this season. People and things seem to vaporize, sometimes overnight. We lose some things. We give up some things. We even walk away from friends or family. Sometimes it is they who walk away from us. Sometimes the things we love are wrenched from our grips as we cry. It’s not very pretty. Our inability to rise up stoically as challenges mount increases our pain and our doubts exponentially. Stoicism, however, isn’t the way to go. Job is a peculiar book of the Bible that I really don’t like. Maybe one day I will, but I doubt it. Yet it is the book that comes to mind first when I am confronted with loss and the insidious, tireless, mocking voice. I look at his tale of woe and see truths that are comforting, and then others that are blunt and terrifying. I see aspects of God that make me wonder if he’s a fiend and not a friend. I see loneliness and depravity, and a man who nearly gets the life blood siphoned out of him by tribulations, all while God looks on, seemingly not phased. No matter what God took from Job, (and yes, God sanctioned the taking) he also gave. He gives and he takes. How can we be grateful for one and not the other? Is his giving beautiful and loving, but his taking treacherous and vain? This is the Lord, who is unable to be duplicitous or contradictory, so if his giving is love, then mustn’t his taking also be love? I feel, in my spirit, that the answer is ‘yes’, and it is only in my spirit that any of this can make sense. Loss does not make sense. Pain does not make sense. Some of life’s seasons feel like the life blood is draining away. We wonder if there is anything left to lose, anything more to take. Pretending that we truly understand is pointless, setting us up to have a shallow and possibly bitter relationship with God. So how can we be grateful when we face loss? How do we reconcile the giving and the taking that come with life? Talk to God. Scream at God. Be silent with God. Scream at God some more. Whatever you do, keep the lines open. It is very easy to feel that God is gone. In the Psalms, the writer constantly accused God of leaving him, not answering him, or turning him over to his enemies. The psalmist was, as we like to say, “in his feelings” quite a bit. Yet the popular 23rd Psalm says God would walk with him through the valley of the shadow of death! Real relationships are like this; they are impacted by our emotions, and emotions can distort truth so much that we lose trust in the One who love us the most. We have to talk to God so he can remind and reassure us of his love. Nothing carnal can explain loss. No platitudes or Scripture verses, even the one I quote from Job, can justify the pain. However, God is not disconnected from our hurts. He demonstrated his unwavering and permanent commitment to us when he sent the Comforter. The Holy Spirit is not a myth or a fairy tale. He is the very presence of God in us! By giving us his Spirit, he has said, “Wherever you are, I will be right there.” Meditation is one way to hear the inner voice of the Spirit; fasting is another. Both methods reduce us to silence and reflection. After we have heaved, shouted and spent all our energy in travail, there is a sacred stillness where you can hear words of comfort from God’s lips straight to your heart. Believe it my friend; the Spirit of God is always there. My grandmother often referred to the peace that passes understanding, mentioned in Philippians 4:7. As a child it was just words, but as an adult who has seen many disappointments I can now say I have experienced it; it is real! We look to God for the miraculous when we want bills paid off and medical diagnoses reversed, but did you know that it is also a miracle when you have peace in the midst of a storm? It is not natural, it is often unfathomable, but with God it is possible! Jesus embodied this holy calmness from birth to the cross. The peace that will come over you during trials is unquestionably divine, not powered by logic, knowledge or self-control. Go ahead and expect a miracle! Gratitude is nourished and sustained by worship. Worship is the highest form of surrender, but it is only possible by faith. Worshipping God in spirit and in truth does not come from a position of understanding. Lying prostrate in your spirit is to cover your doubts and fears with what you accept as true about God’s nature and his character. He is Love. He is Truth. He is Light. He is Wisdom. Clarity is not a necessary condition for the spirit to surrender in worship, but faith surely is. You may not understand why you are falling, but you can have faith in who will catch you! So thank him! Thank him, even through salty lines of tears, for what he gives and what he takes. Our God is Lord of everything, and his love is unfailing. As a writer, teacher, and speaker, Latasha is driven by her desire to see women connect, inspire, and empower each other in God's Spirit of love and unity. Her prayer is that women will become passionate about living free and honest lives through God’s power, mercy and grace. She and her husband Ian live in Freeport, Bahamas and have shared almost fifteen years together riding the phenomenal roller-coaster called ‘marriage’. They are on a wild yet fulfilling journey as they parent three exceptionally energetic boys!